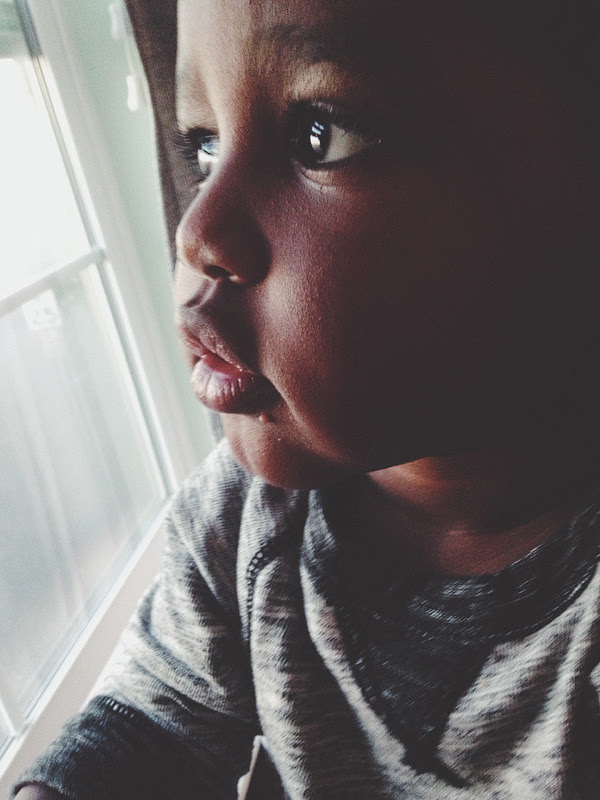 I would really like to write paragraphs on bringing home Tegan and paragraphs on bringing home Davie …. paragraphs of thoughts that are swirling in my head and need to be recorded before I forget this whole year of my crazy life ever existed. But my brain is foggy, my mind is tired and my shoulders could really use a back rub…. again. So, because I’m not a crazy person and I really am not on top of it all – I’m going to save those paragraphs for later. I did want to take up this tiny bit of internet space, (and my precious time sitting here as BOTH of my children are sleeping and I’m not filling it by eating ice cream, rare moment), to say thank you. I keep coming back to this feeling of gratitude to all the loving people who held us up in prayer, who gave us finances we certainly did not have, who cared more deeply about us, our story, our sanity, our hearts than I could have ever imagined, to the people who brought us meals, who showered our kids with lavish gifts before they even came home, who made things for us, who watched our dog, our cat, our house, to the people who we never expected that sent us cards and gifts and words of encouragement, to the people that made this possible. We did this together and I am more than in over my head indebted to ALL of you, even though you never expected me to pay you back. Confession, we never sent out a single thank you card … OK maybe one or two made it through the cracks, but seriously, 99.9% of you didn’t get a single thing! I already know I’m awful so no need to say oh Ellie, you didn’t need to do that! I know I can’t thank you all enough, so consider this (and our flashy-pants Christmas/adoption/birth announcement/praise/thank-you card) our deep deep feelings of love and thanks to you all. YOU GUYS ARE AMAZING!!!!!!!!!!!!! What a beautiful bunch of friends and family we have!! Posted in grovers Tags: Thank you! Today I needed to see a bit of encouragement. Thanks for being just that! The girls and I were driving today. I can’t remember how we got on the conversation, but I explained how you get to be Teagan and Davie’s parents and how that is super cool! We love you guys and pray for you! Oh, and keep updating with pictures! Even if you don’t have time to write much, I’d love to see the photos!!!!!!!!!!!!!!! No, Tegan is not a girl. But his baby sister is!!! Now slap that look of shocked amazement and uncontrollable curiosity off your face and get ready for a serious story. I know, I have quite a bit to catch you up on. 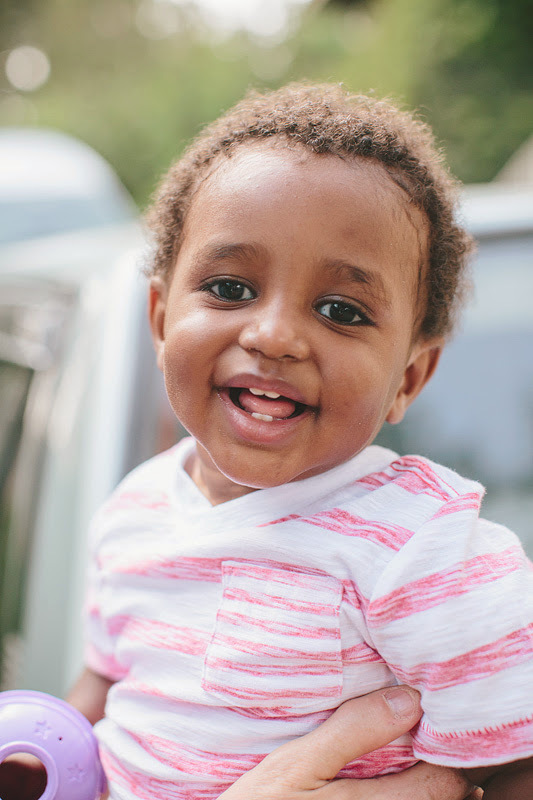 It all started with God’s plan, we said yes to adoption and no to further fertility treatment and we found ourselves in the middle of a three year process of bringing home our son. The wait times kept extending and we kept saying yes, we kept trusting that this was his plan for us and our little boy was out there somewhere, someday to be united with us. But it took us a lot longer than we would have ever expected. God seemed distant year after year of waiting and no change, no children, not even a name or a little face to look forward to. Just blah. We were worn by this wait. 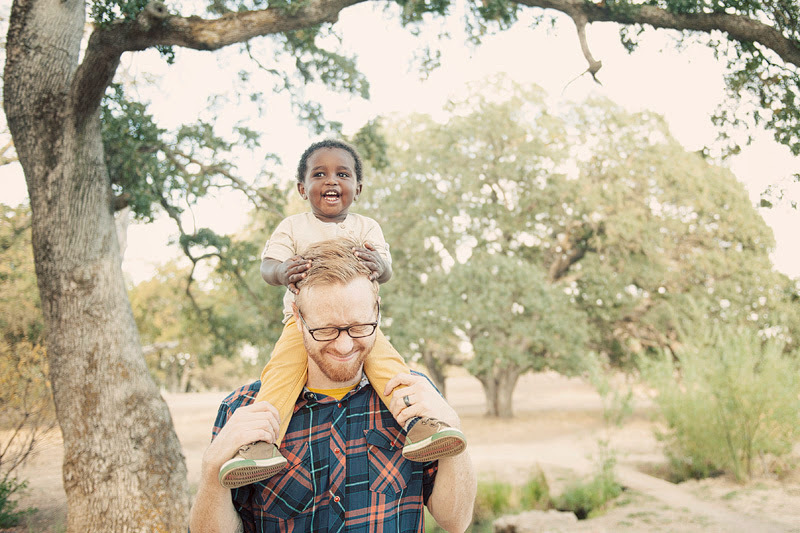 We thought we wanted to adopt from Ethiopia again, but when it came to signing the paperwork we had absolutely no peace or clarity about moving forward. We selfishly felt that it might break us if we had to wait 5… 6 … maybe 7 years (??) for a second adoption. 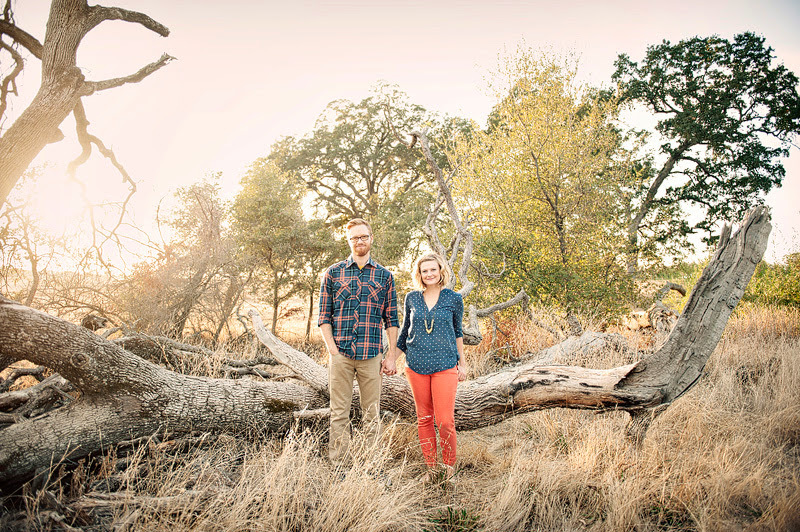 We lost sight of faith and began to stress about building our family. We wanted peace on the next step, assurance that we could do this again, that it would turn out alright, that we would have at least ONE sibling for Tegan! But where would we go, what would we do?? In the middle of this, God gave us a referral. We had a son, a name, a face, an age… an estimated timeline for bringing him HOME! 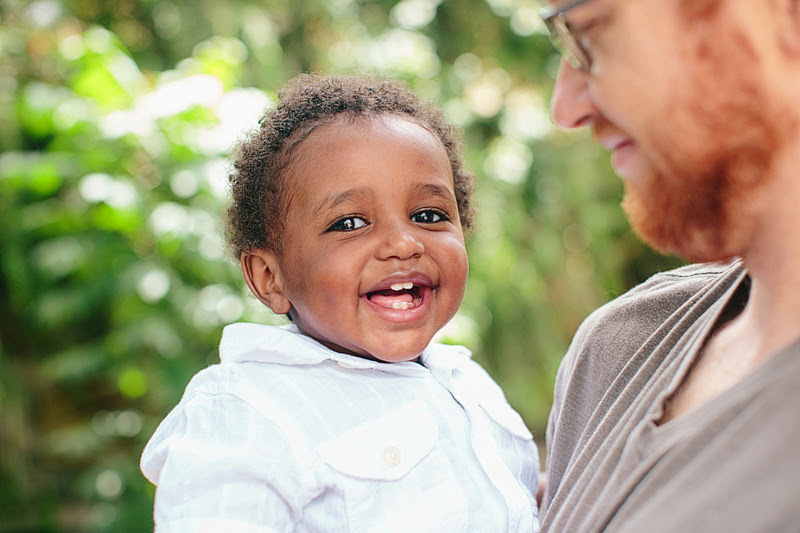 He was and is beautiful, he was a miracle – we were overjoyed to say the least! But in the back of our minds we thought, could we really endure this again? 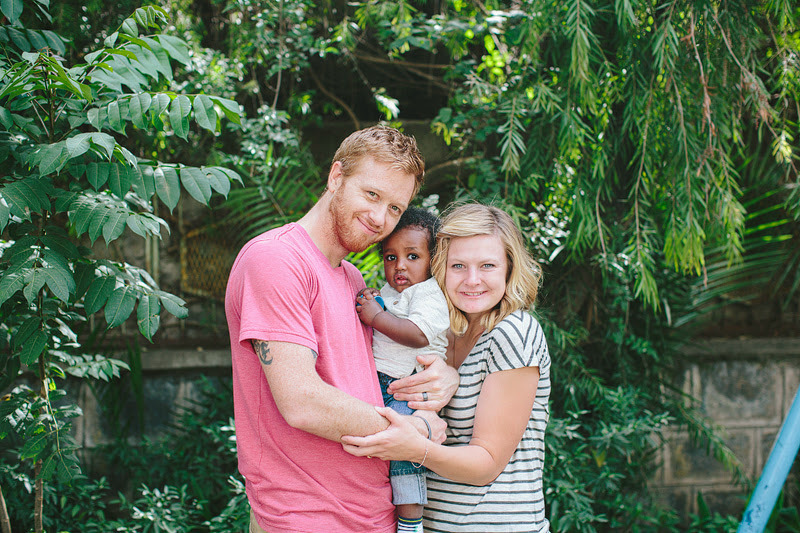 God convicted my heart as we flew to Ethiopia that first time to meet Tegan. I could do this again, a million times over if HE wanted me to. 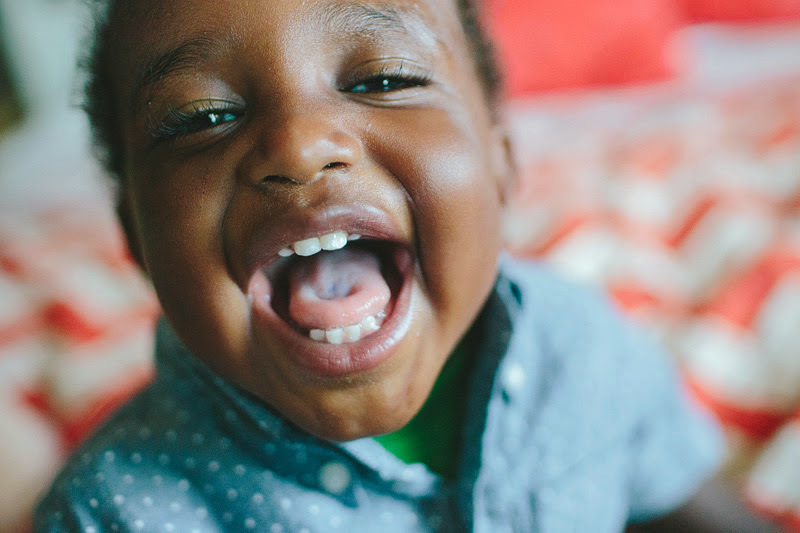 I had lapsed into a faithless spiral of planning out my own life and forgotten that it was GOD’S PLAN that brought us here – to this very child – in the first place. (In fact, had I not listened to Him, Tegan would not be sleeping in the room next to me as I type. Convicted? yeah, just a little). God was no where to be found in my stress and worry, and I knew I needed to let go and fall headlong into the trust I had in Him in the beginning, (maybe even more trust than that!). 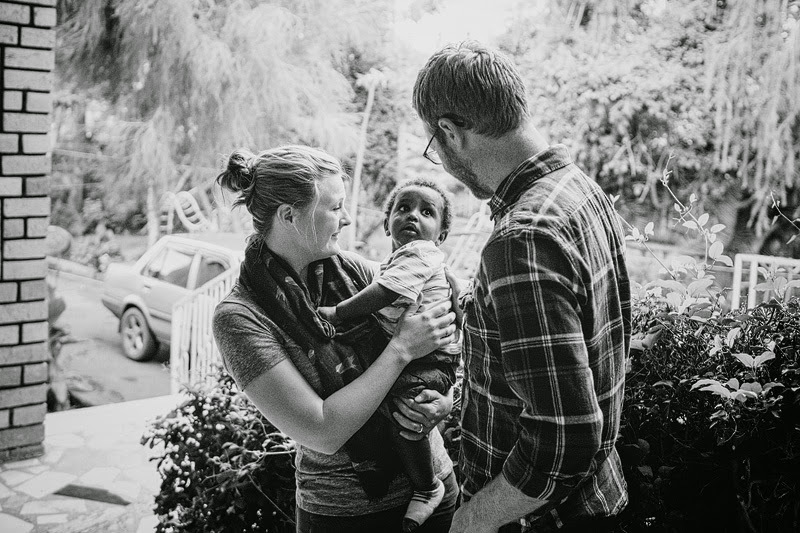 Eddie and I prayed on the rooftop of our guesthouse in Ethiopia that God we would be able to enjoy this time with JUST Tegan, that we could be at peace with where He had us in these moments and we prayed that God would make it clear to us when and where to go next. 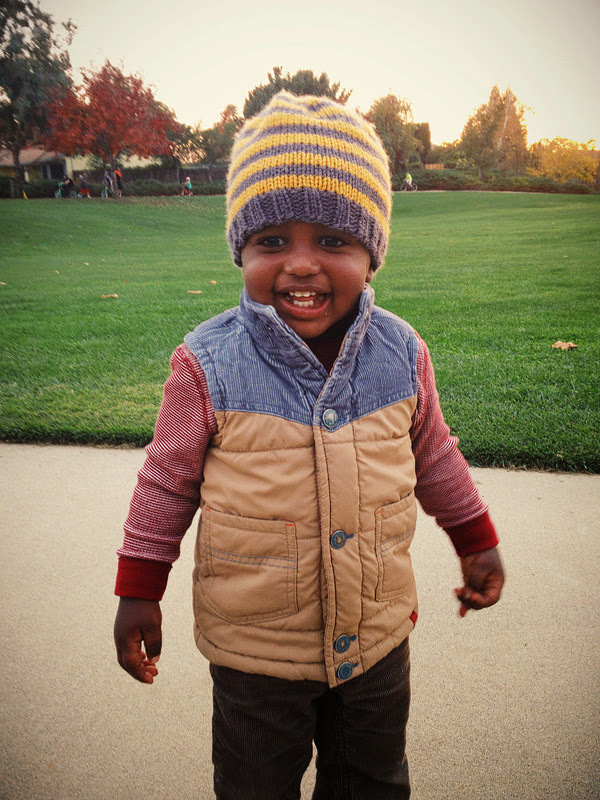 We prayed for the trust we didn’t have that He would open the door to our next adoption in His timing, not our own. fast forward to just 5 weeks ago, (3 weeks exactly after we brought Tegan home), we got a phone call from Sean and Erin Traynor, good friends of ours. DID I MENTION IT’S A GIRL!!!?!? We decided to take the next step and meet with Sean and Erin’s friends – and after that meet with the birthmother – and after that the birthmother’s parents. I actually got the call on August 7th (my 30th birthday) that the birthmother was so excited to have finally found the couple that would take her baby, US!! We’ve started our new home-study and boatloads of new paperwork and every step of the way we’ve been met with one open door after another. This is really happening!! And God has been so clear in all of this. The birthmother has had a rough past. 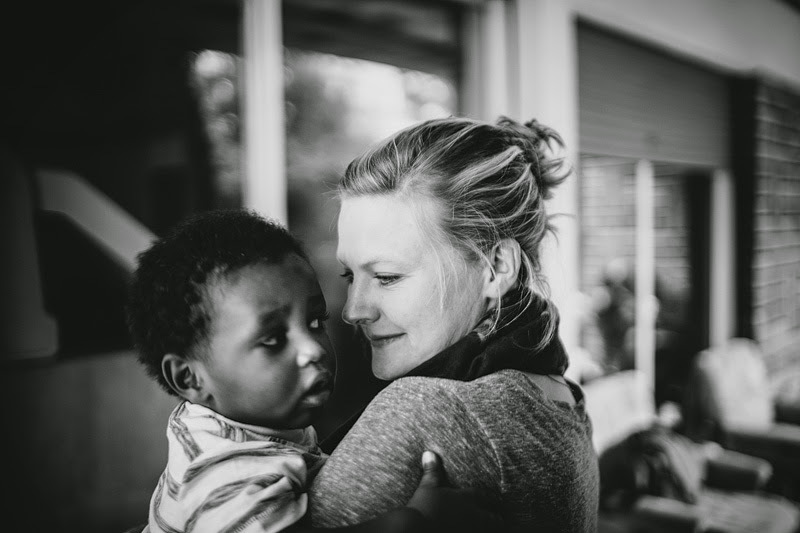 But as I told her on the day we met, adoption is always born out of something hard, but it turns into such a beautiful thing! The most beautiful part her of this story is her faith. She knows Jesus, and she wanted to be sure we did too! She could have cared less about the fact that Ed was a “pastor”, she wanted to hear straight from his mouth and mine that our faith was in God alone, that we knew we were sinners and trusted in Jesus who died for our sins and rose again to pay the penalty for us as our Lord and our Savior! 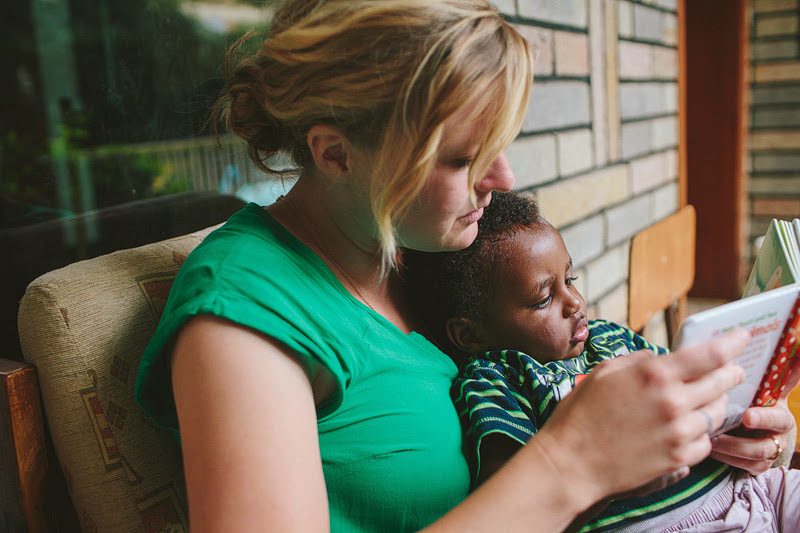 Her gift to her child is not only a stable family but the message of the cross. She knows that she can’t spend this life with her precious daughter, but she can spend eternity with her in heaven. (and this is where I turn into a puddle on the floor, I cannot believe this woman’s faith!). God is good. So here we are in the middle of adoption number 2 just months after bringing home our first. I still have my doubts (rationally/reasonably speaking the mom could back out at any moment, and still will have 30 days after the baby is born – if she would like to take them – to change her mind). But even in my doubts, I am learning to trust that what God wants to accomplish, He will. I am wrapping myself in faith that He has this one in His hands -and I would be foolish to doubt that He isn’t capable of giving us what is best. So, right now I feel like Job at the end of his long and torturous journey of loosing everything… to be doubly blessed in the end. We praise you God for your kindness in this life, and we thank you for all that you give us, good and bad, as it points us back to you; your greatness and your Love for us. Bring on the crazy, we’re having a baby girl in October!!! This is a WILD miracle!!! You are right! THIS DOES NOT just happen to anyone! God’s hand is on you in a super natural way. What splendid news. I just can’t handle it! WOWOWOWOW. Congratulations. SUCH BLESSINGS! Oh Ellie! What a super natural act of God! Such a wild miracle. I am absolutely giddy with joy for you!!!!! 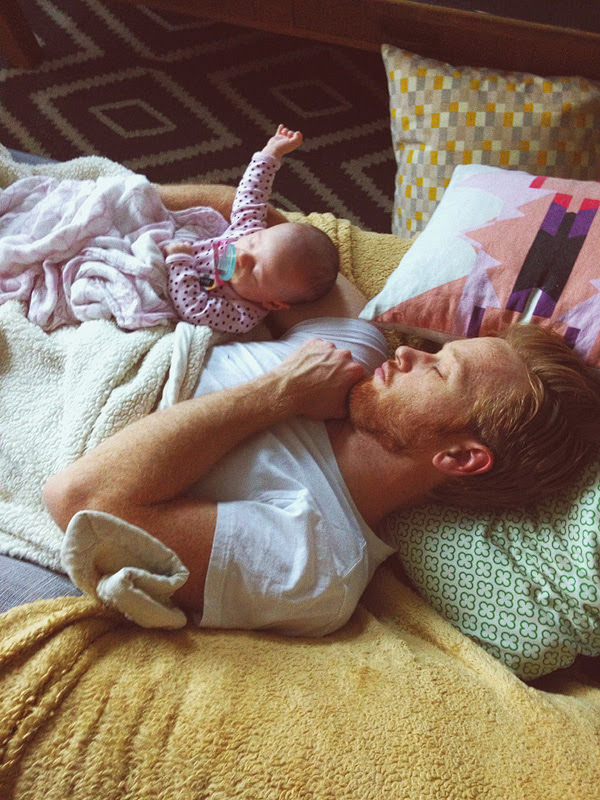 You are gonna be the best parents! and I spotted that sweater at target a few weeks ago and thought it was perfect! This is CRAZY, AMAZING, WONDERFUL!! SO very happy for you all. God sure knows what He’s doing! … Ah… I can’t believe it!!! Ahhhhhhaaahaha!! I’m so excited for you! You guys are such an amazing couple, and now amazing parents. 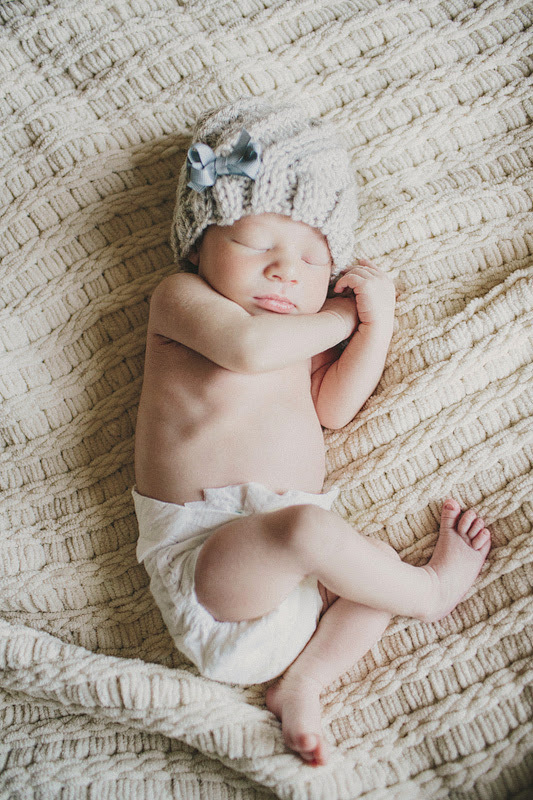 I’m so happy that you’ll have the privilege of seeing Eddie with a sweet little newborn…a GIRL…and to fall deeper in love with your son as he shows his love to his sister. You are so abundantly blessed and I’m sobbing the happiest of tears for you this morning. Wow. Ellie, I’m so so excited for you guys. Like beyond impressed with your faith, and in love with how God is blessing you because of it. congrats!!! So happy for your family! God is good! I know you don’t know me but I started following you threw lorie :0) I have been reading your story since the beginning and I’m so insanely over joyed for you and your husband and you boy! God knows our hearts and knows what’s right for us! I have to remind my self of this all the time but your story it’s such an awesome example of that! I will be praying for you guys! Congrats and best wishes to your family ☺ you will have a son and a daughter! Crazy!! I have goosebumps all over right now!! How amazing is our God?? I don’t know why I am surprised, He shows me this in life, time and time again…He is so GOOD! Congratulations Ed, Ellie, & Tegan!!! Wow! God is good indeed! Much love for your beautiful ever expanding family! Hoooraaaay! I’m thrilled to the core to read this! We’ll be continuing to pray for you friends!!! God is so good and you are such a blessing to share your joyful faith! We will be praying with joy! Oh Ellie!!!! I am so happy for all of you….every adoption story is full of big and small miracles!!! 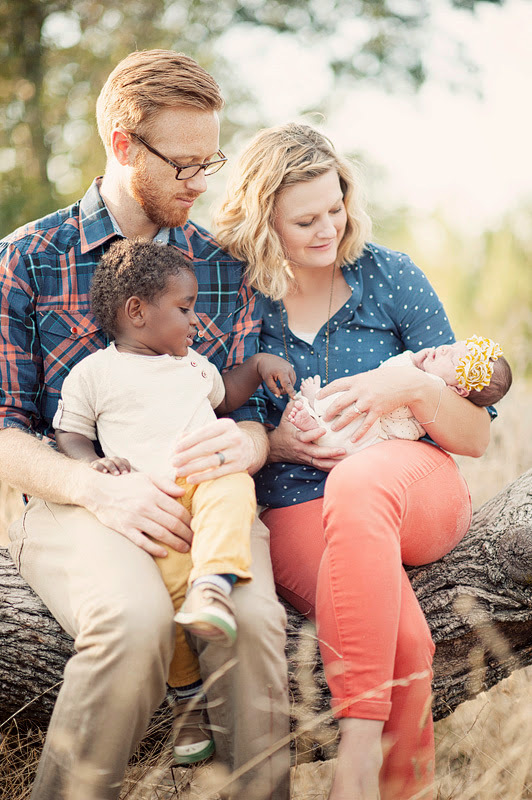 Both our daughters (Heather and Christina) were adopted and your story has some similarities to ours….We have always told the girls that it is God who puts families together…some biologically, some by adoption but regardless…it is He who makes it happen…. What a magnificent story you will have to share over the years with your little ones! And what a wonderful and faithful God we serve and love…. Blessings and more blessings on all of you!!!! I know the story and I still cried when I read your eloquent review of the process. At the same time you were praying for answers on how to grow your family we were praying for God to bring us a family for this beautiful child. God is Good! Congrats Eddie and Ellie! What a miracle! I am so happy for you! 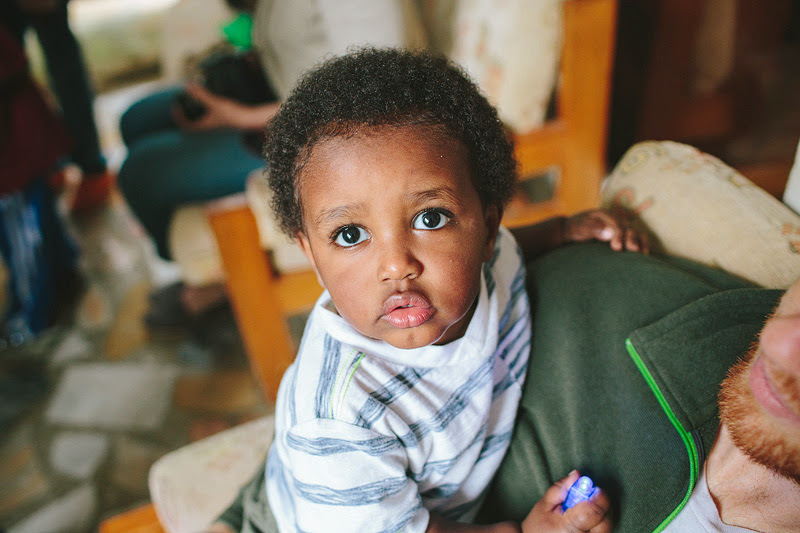 It’s hard to believe that it hasn’t even been a month since we’ve been back from our first trip to Ethiopia. It seems like so much longer because we just can’t stop thinking about Tegan. After the time Ellie and I got to spend with him, it’s like he started to take up this place in each of our minds and now no matter what we are doing, no matter how crazy life has seemed since we’ve been back, he’s constantly there in our thoughts, in our conversations and in the silence between everything that’s happening. So, while we’re waiting, we’re preparing. 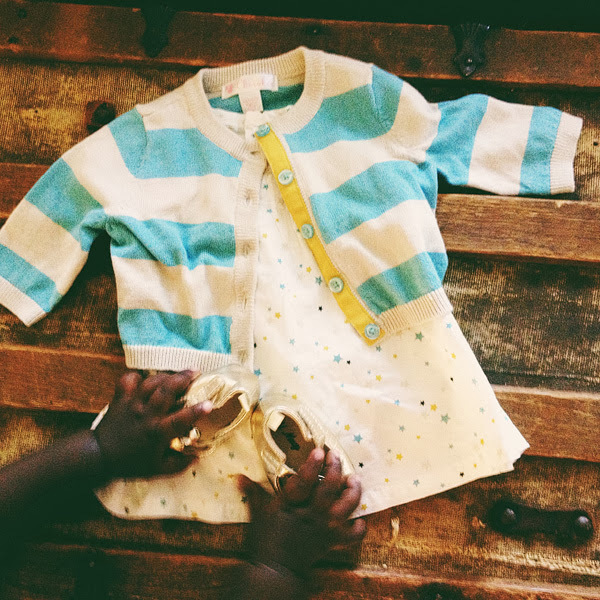 We’re getting ready, (as much as anyone really can), for parenting. The more we find out about Tegan’s past and about everything he’s been through, the more we are discovering that the beginning of his time at home with us is going to be possibly the most formative experience of his life. 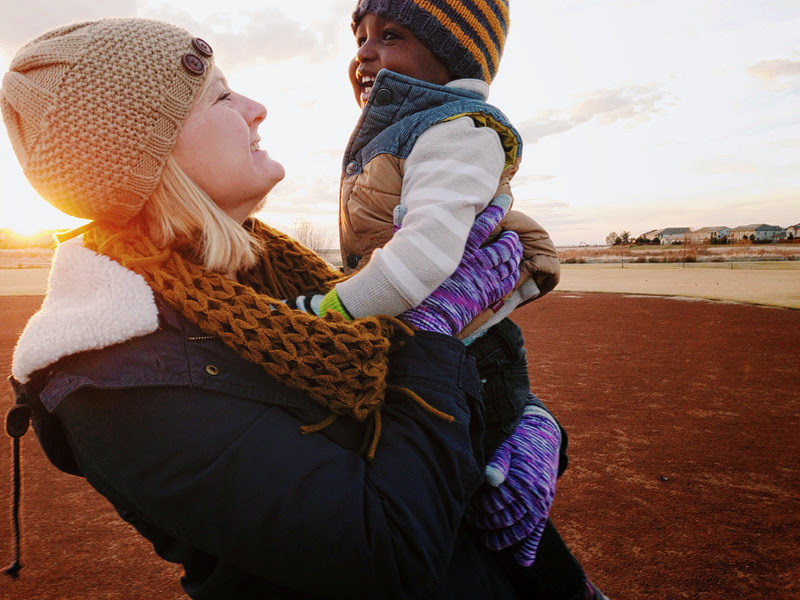 Adoption is all about knowing the times when your child needs to be treated like every other kid in every other traditional family, and knowing when they need to be treated very differently to take into account their past. The reason for this blog post is to let you all know how we are going to be handling the first few months together as a family because we’ve recognized that many of the things that are best for Tegan will seem unusual or even unnecessary to those who haven’t experienced adoption before. 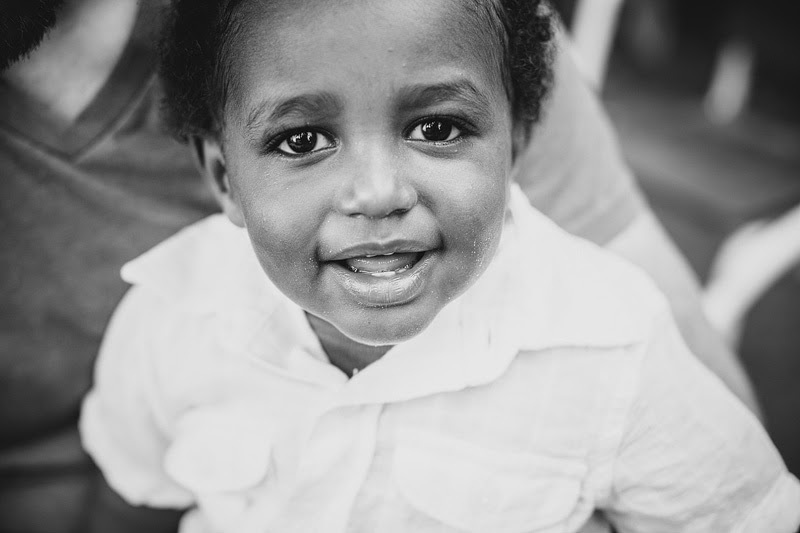 Tegan has experienced a lot in his very short life on earth…poverty, abandonment, orphanage life, and being transplanted now three times (including us) to different caregivers just to name a few. 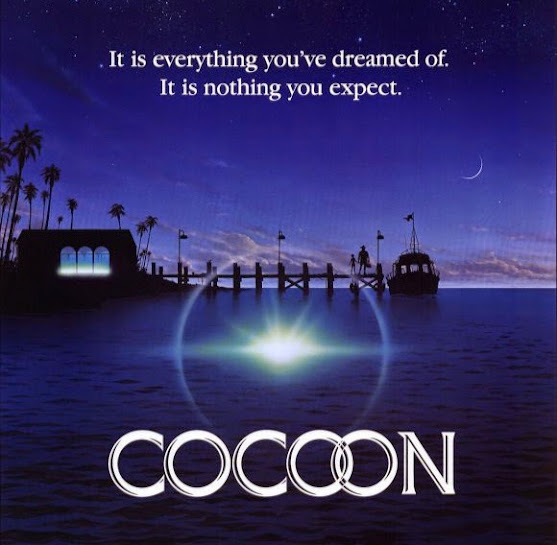 For those of you in the adoption “circle” you’ll know what I’m talking about when I mention the word “cocooning”, but for those outside the circle you’re wondering, “What does that old person movie from the 80′s have to do with adoption?” Cocooning is the strategy that many adoption resources suggest to facilitate bonding and attachment once you bring an adopted child into your home. 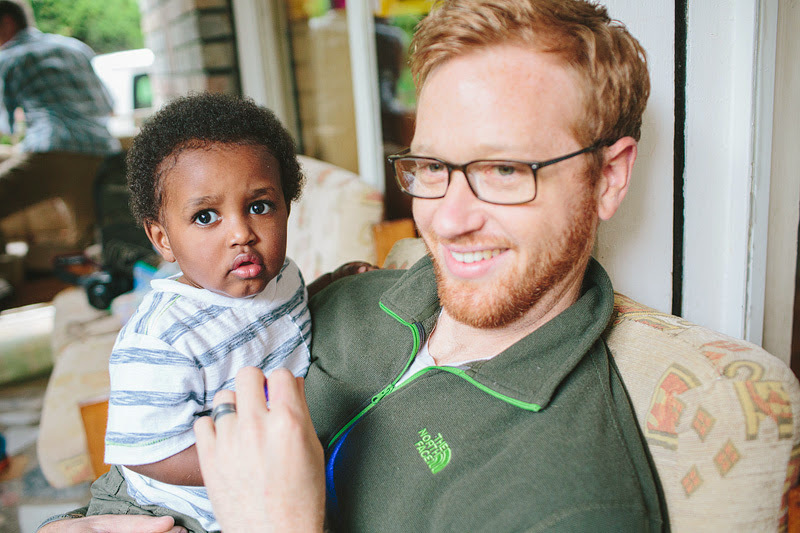 It basically consists of keeping him at home with us for the first 6-8 weeks of being home from Ethiopia, with very minimal outside visitors or outings. It also means that Ellie and I would be the only ones allowed to hold, feed, bathe, clothe, comfort, console, and meet his needs during the 6-8 week period. Some of you may be thinking, “That sounds crazy! 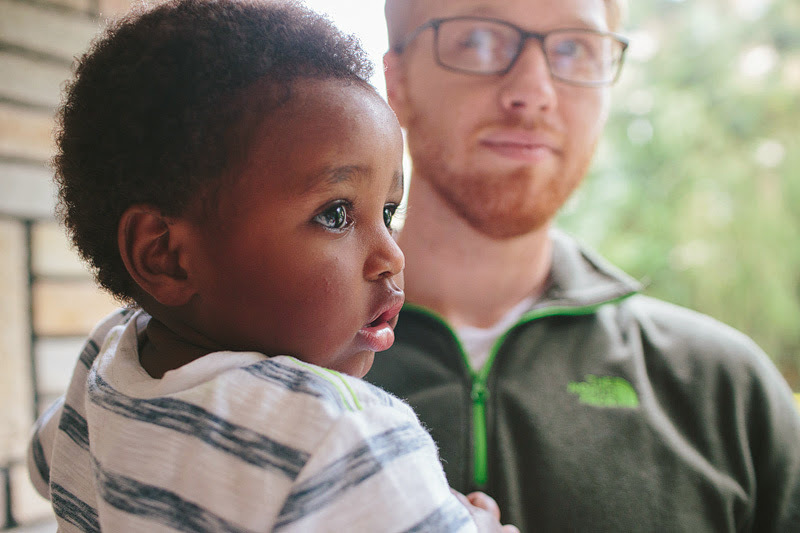 You shouldn’t isolate him or shelter a kid like that.” Just a few weeks ago, I would have agreed with you, but after meeting my son and getting a glimpse of the world that he’s known so far in her lifetime, I’m beginning to see the benefits of this “cocooning” idea. Tegan needs to know that for the first time in his life what a family is and what it means to trust. He needs a calm and minimal-stress environment that he’s never experienced up until this point, our son has been passed from one caregiver to the next, which obviously creates confusion for him as to whom he should trust to meet his needs. He needs the chance at a “fresh” emotional start to bond and attach to the parents that God had planned for him since before time. With that being said, I’d like to layout the “Game Plan” that Ellie and I plan to put into place once we get Tegan home. First off, let me say that we KNOW that everyone (friends/family) have been praying and waiting on this moment for a long time. We can’t express to you all how much your prayers and encouragement have meant to us along the way. In fact, once we get him home, we’ll need that prayer and encouragement more than ever. This plan of action is not meant to shelter Tegan or to keep him from all of you that so badly want to meet him and love him. Just trust us, if he healthily bonds to Ellie and I, his bond to you will be all the healthier. So please trust and respect our decision on how we’ll handle our first weeks/months home with Tegan. The decisions we are making are based solely off the advice of experts and families who have gone before us. Ultimately, these decisions are being made to keep Tegan’s best interests in mind… which is why we started this process in the first place. We plan to implement our “game plan” for at least the first 6-8 weeks after arriving home with Tegan. We will eliminate all unnecessary outings and activities during this time period. We will allow limited visitors during this crucial time. Please know that this isn’t the kind of situation where the people closet to us will be present and others won’t be, this really is going to have to include everyone because Tegan needs to come out of this cocooning period seeing a clear separation between his parents and everyone else. Ellie and I will be the ONLY ones to hold, feed, clothe, bathe, comfort, console, and show excessive affection to Tegan during this phase. This is not to shelter or “hog” him but to eliminate all possible confusion as to whom her parents are. this makes perfect sense to me and i will be continue to pray for your transition into the most amazing family! Super proud of you guys, both for these choices and for letting us know You will be in our prayers and we look forward to the butterflying phase Go Grovers!!!! I will be praying for you guys during this time! So excited for you all and yes, this time to build your family bond is so very crucial! YOU and his parents and YOU will know what is best for your son and as anxious as we all are to share in your joy, we must respect your time to grow together! Blessings to you all and Happy Fathers Day! So impressed by you guys, your attention to doing what is best for your son, and will be continuing to pray for you all as you make this huge and awesome transition. Hugs. Ellie! Emily gave me your blog… Ive been thinking of you guys so much!! Praying for you three during this transition- praying for energy, health & grace. And that the attachment is realized quickly & bond made strong. I’m excited you’re cocooning & doing what’s best for your little fam! Welcome home Tegan, you are a gift & you are so loved! I think what you are doing with the cocooning is great. I hope that all who are close to you will respect your boundaries. It seems you are doing a great job being upfront and clear with your plan. As parents, it is our responsibility to guard our children’s hearts and minds. I see your plan as you doing that, even when it might be difficult for some to wait to meet him. What an exciting journey. May God continue to bless and guide it. It’s always wild to step into places so different from the one you know, places that make you uncomfortable and places that make you re-imagine what this world of ours has to offer. I love seeing things through different eyes, turing what I think is sure, essential and beautiful on it’s head. 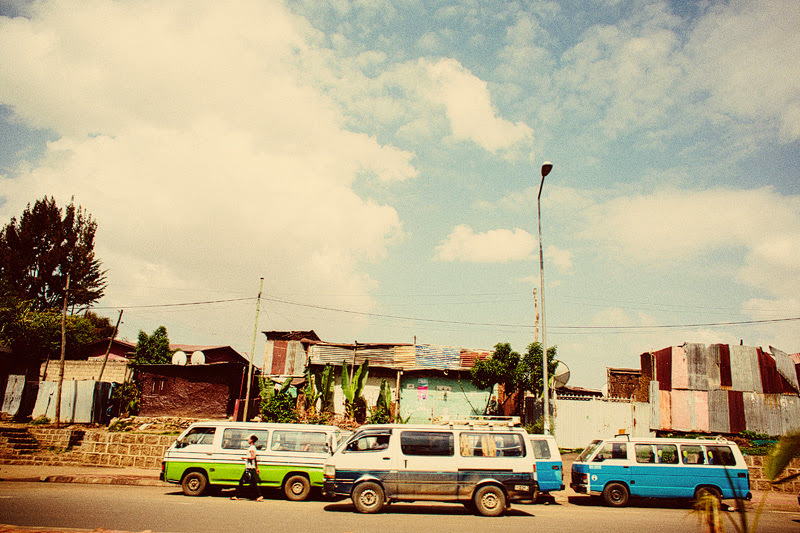 There was no shortage of things to look at in Addis, things were happening on every corner, my eyes were glued to the windows of our van every time we would head out. 4 million people crowding the streets, donkeys, herds of goats, wild dogs, houses constructed of corrugated metal and mud, everyone selling something out of their tiny pop-up shops, the air was overwhelmingly thick with smells, meat, sweat, spices, dirt, exhaust. I’ll be blunt in saying that I was struck by the utter poverty of this city. I played out the stereotypical responses to such meager surroundings: sadness, pity, overwhelming feelings of being too small to really “help”. I dug further, why am I so shocked by all of this? What is it about this place that immediately think that I should step in and stop the injustice of poverty but when I drive around my own town I have no such compulsive feelings to intervene in the lives of the people surrounding me? Is my heart for others really motivated by such surface-level care? Yes, you can’t deny your feelings for a person who is suffering from sickness with no medicine or hungry with no food – these are basic human needs that our hands immediately feel the compulsion to give out of our abundance to aid in need. But I dug deeper still, what if daily life here just goes on as it does in my small town of Roseville – lived to the standard we saw set around us? What if these people were perfectly content to live in houses made of mud, walk 5 miles to visit a friend down the road and live out their days uncontaminated by the demands of cars, cell phones, internet, deadlines, success and wealth beyond our needs. 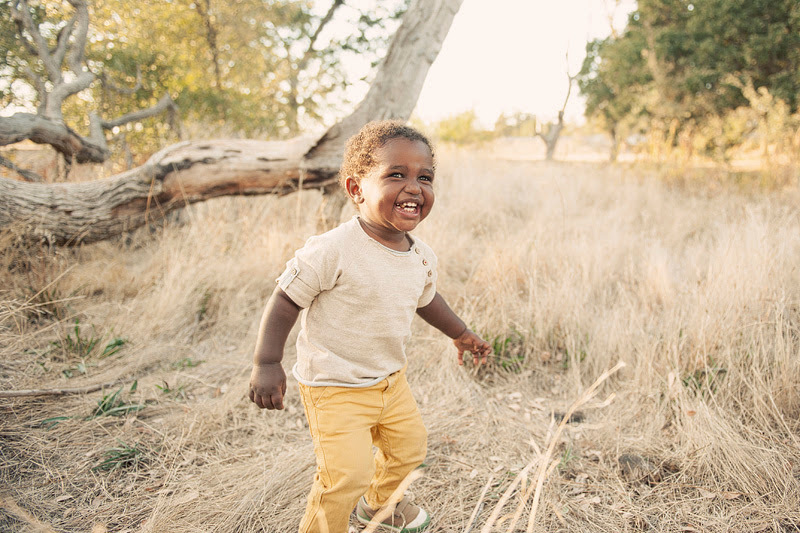 What if I had the eyes of an Ethiopian visiting California – would I be shocked by the poverty of our souls, our greed, our constant distractions, our misplaced priorities and lack of care for others? Thinking this way, I can’t see why the life we live out is any less shocking, or in need of care. 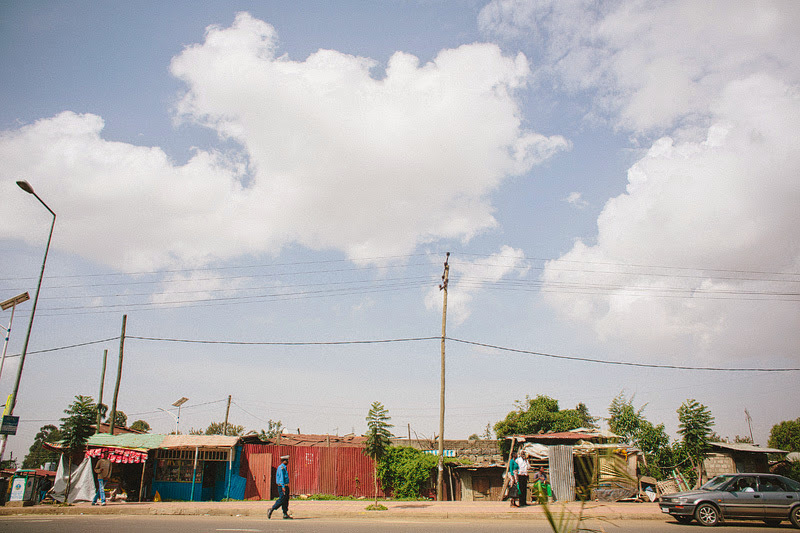 My time in Ethiopia gave me an appreciation for taking things slow and treasuring the life we have set out to live – full of love and excitement for the everyday, the small things, and the blessings God gives us when we least expect it. 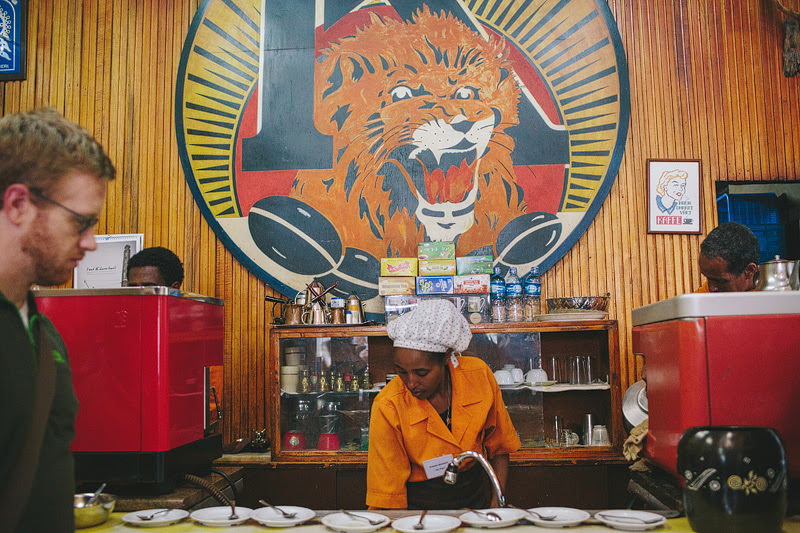 Below is a coffee house we went to while visiting (one of three coffee places!) . I LOVE their coffee!! So…… yeah, you can see why are hearts are broken and we can’t wait to get back over there!! 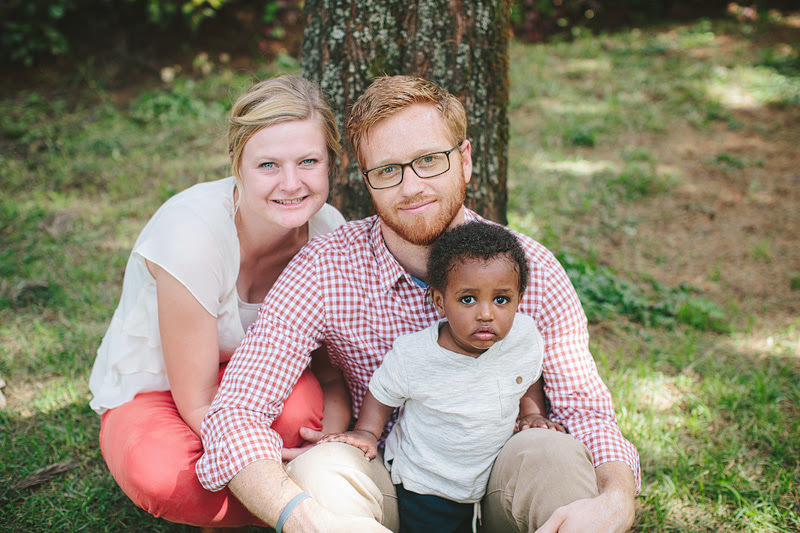 It has officially been 2 weeks since we passed court in Ethiopia and they say the average turn around time to go back is between 4-7 weeks!! We’re hoping we’ll get an e-mail soon notifying us of our paperwork going through to the US Embassy so they can start getting his passport and visa in order. We’re praying this time goes by purposefully but quickly – WE CAN’T WAIT!!!!! We’re coming Tegan!! this was a beautiful post! beautiful pictures, words and people. and YOU. 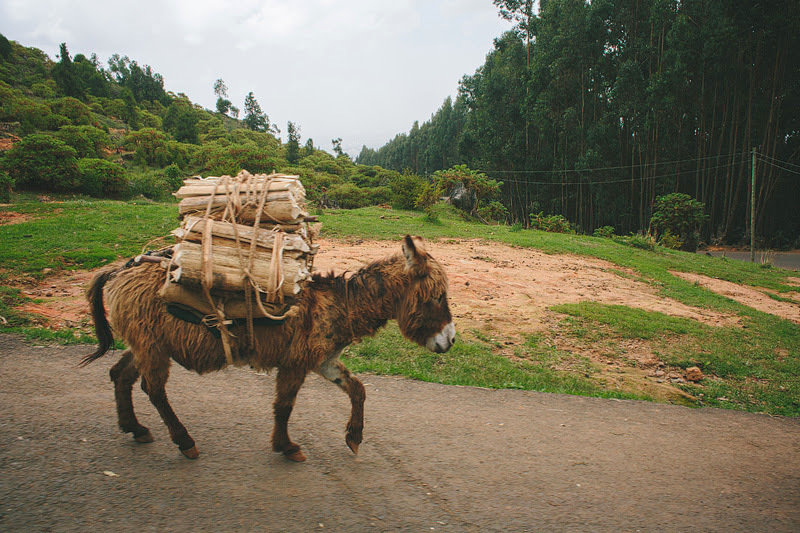 i’m in love with the donkey. 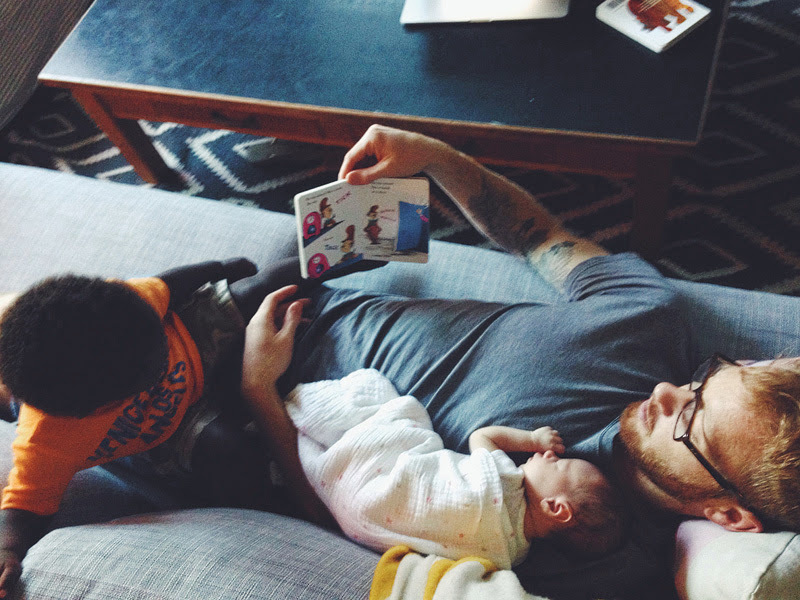 and these pics of ya’ll with Teagan are so precious and priceless…i hope you are framing them! you are so very right that we live in a country just as shocking. i’m daily horrified by our obsession with social media, yet here i sit, typing away:) seriously though, lately i’ve been feeling such a burden for our people here as well as far away in Africa. You could have been a write my friend. What am I saying? You ARE a writer!!! Please keep writing! 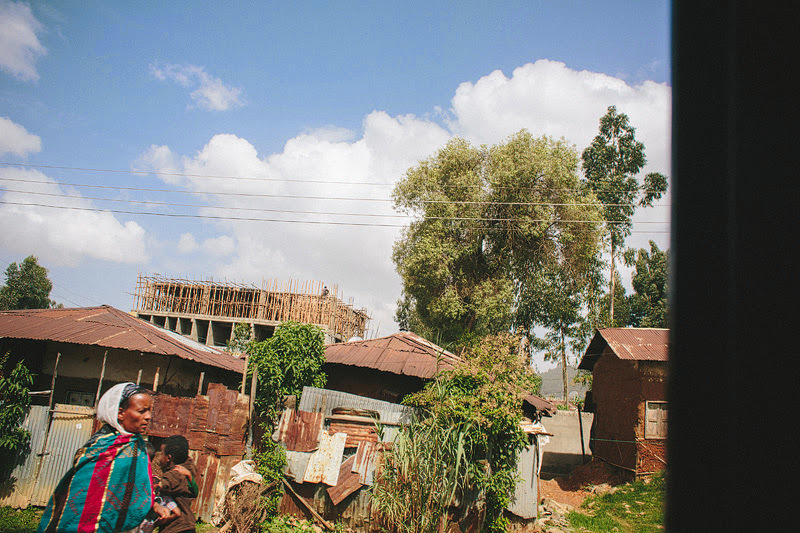 I am often in conflict with the poverty here and the poverty in places I’ve been around the world. Where we live many are so spiritually poor it is heart breaking. It is so easy to get wrapped up in our own bubble that we miss the opportunity to love on other as Christ would have us do. Thank you for sharing my friend. I look forward to reading more of your reflections. What a beautiful son you have! 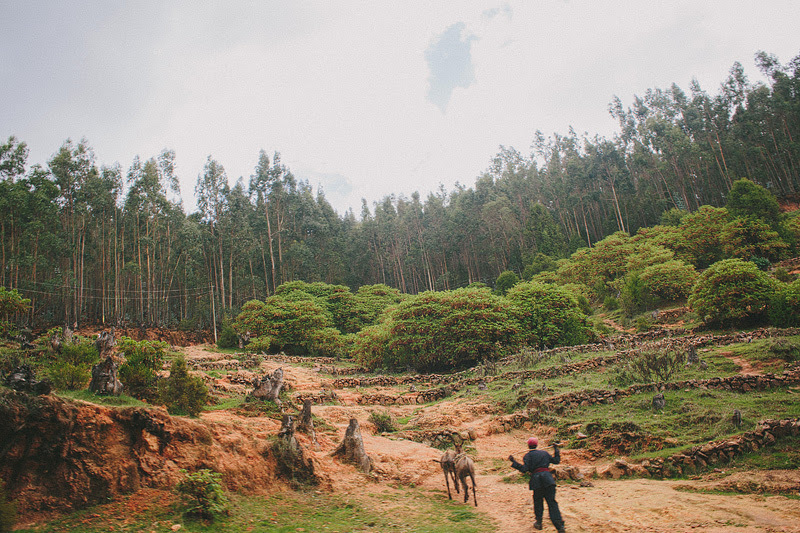 Vali sent me a link to your blog… We are also in the process of adopting from Ethiopia….. So I LOVED seeing the pictures u took! love it. just love it. He’s sooooo close to being home & in your arms…I can barely stand it!!! I have been photographing weddings for the past 7 years and I’ve seen a lot of couples at their worst and best moments. I sit back and watch a day full of friends and family, small details, and big moments, flowers, make-up, pretty things, groomsmen making fools of themselves. But my eye is always drawn inevitably back to the couple – are they happy? Do they look each other in the eye or are they more concerned with how the centerpieces are coming along? Do they make a good fit, are they kind to each other, do her eyes beam with excitement when she’s alone with her bridesmaids, do his groomen share in his joy for his bride-to-be? If I’m really honest, There are times when I wonder if these two people are a “good match” for each other and if they really are deeply and perfectly in love. I have been guilty of having an idealized version of what a perfect and lasting couple should look like, and I don’t leave every wedding with complete confidence in the outcome of the marriage in the long run. After so many weddings year after year, I have grown critical of love. This year, I had a small epiphany. Our love is broken. No matter how much I want to believe in the idea that true love is reserved for the a fairy tale story of bride and groom, the perfect couple, I have to admit that each one of the imperfect couples I witnessed pledge those binding vows of marriage were expressing their love; and however broken and imperfect it was, they were just crazy in love enough to take that unknown step into a future of marriage – and that is worth celebrating. 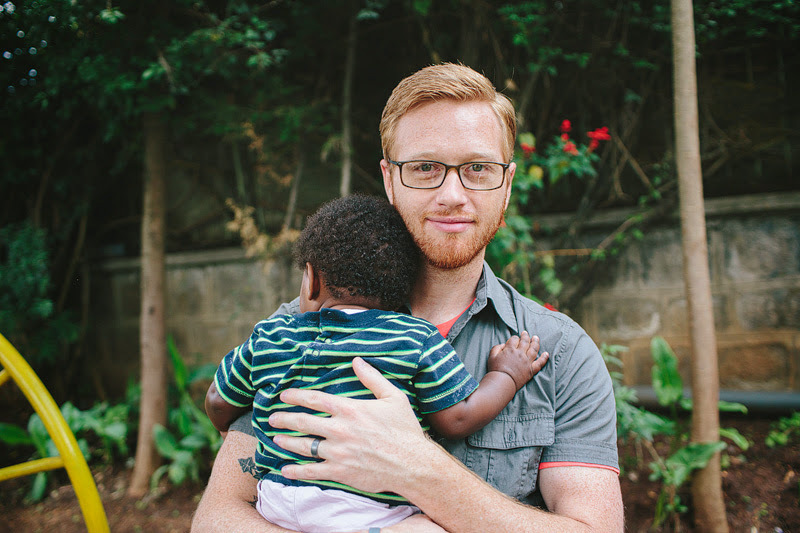 So as it is with love, we can also tend to have an idealized view of adoption. 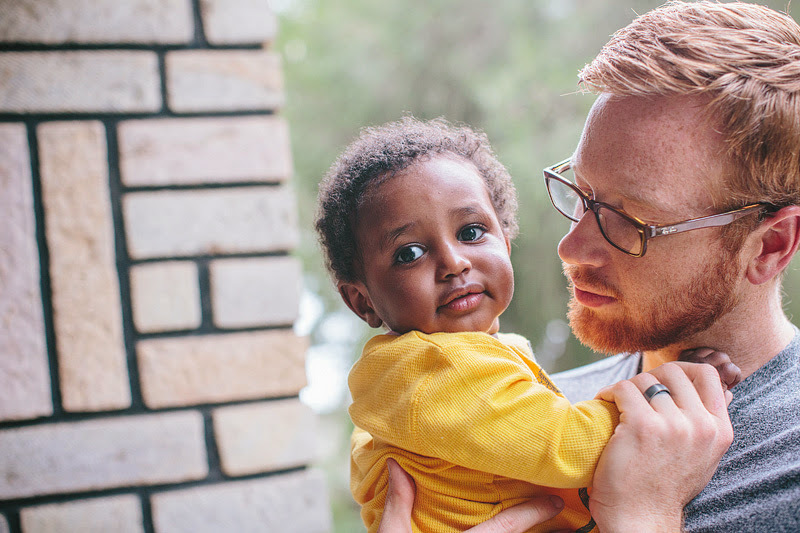 From the outside we might think of it as saving a child from a life of poverty, or giving a mom too young to care for her child a second chance. We might think of it as an act of kindness, compassion, offering a better life to those in need. In a way, it can be all of these things, but there is so, so much more. 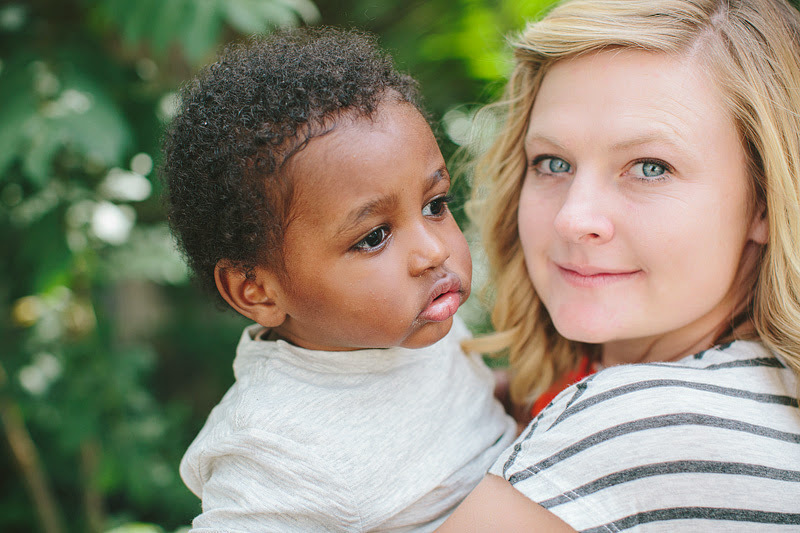 Adoption is broken, it is humbling, it is uncomfortable, it is crazy, it is heart wrenching and it is a leap of faith. It is not for the weak at heart or the uncommitted. Why am I saying all of this? 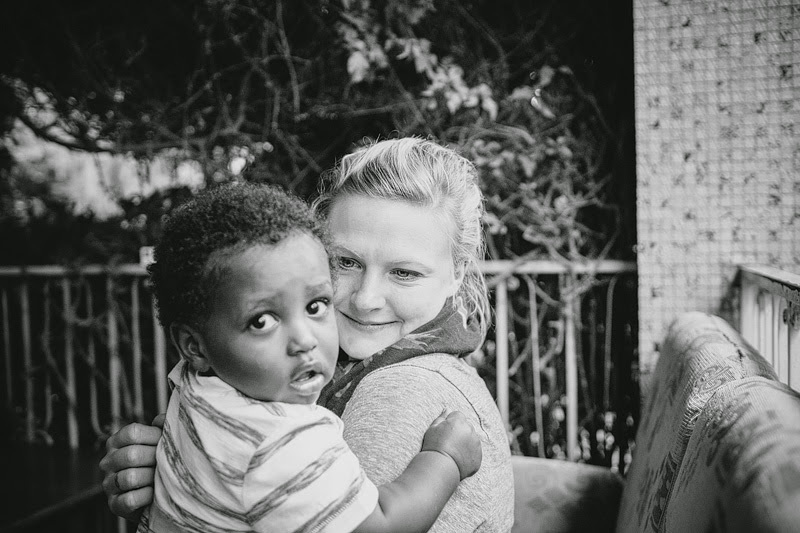 Because when you wonder what it’s like to wait three years for your son, travel 36 hours to a third world country and hold him in your arms for the first time, my answer might include a bit more brokeness than just, ‘it was the most wonderful feeling in the world’. Still, just as it is with the broken love we give, I am privileged to see the reflection of God’s goodness and grace in this difficult path of adoption. 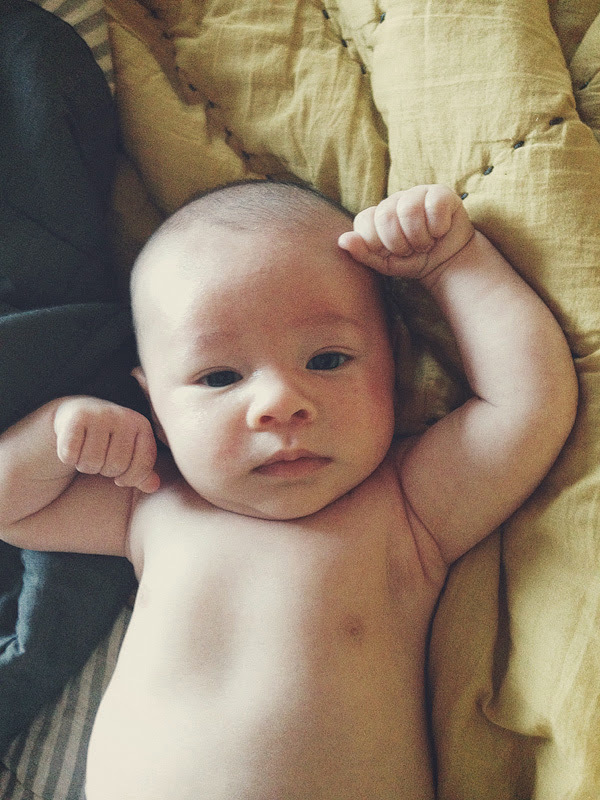 I am overwhelmed by the opportunity to bring this beautiful baby boy into our lives and raise him as our own. 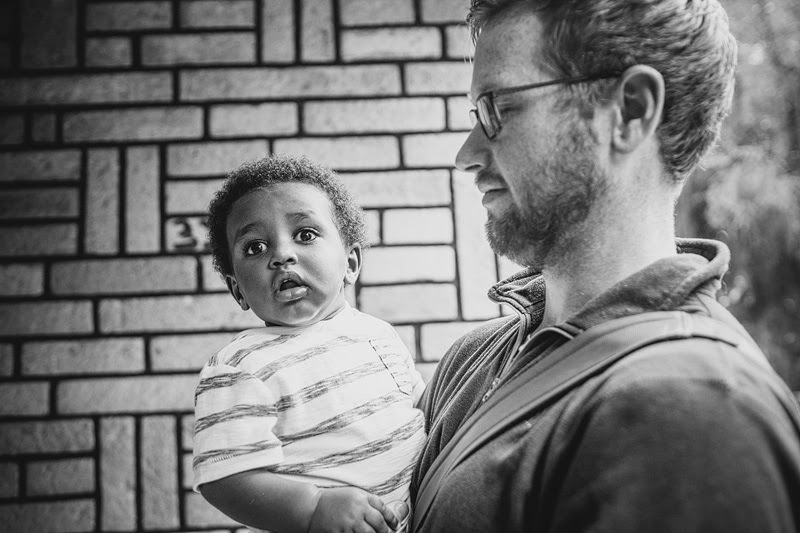 I am blessed to have been asked on this difficult journey of adoption. This has already been such a rich story and I would not have it any other way. ….. Here are some of our first moments with Tegan ….. So, Ellie, this is beautiful. It is beautiful in its honesty and beautiful in its brokenness. Your story is His (Jesus’) story. So beautiful, so honest, so raw. Redemptive, heart-wrenching, uncomfortable, crazy love. You have His heart – brave and true. This brought me to tears. My heart is so happy for you guys. such a good post! i need more! keep writing! I’ve know for years that you were an amazing writer. I think I still have the story you wrote of you and Eddie meeting somewhere in my closet with a stash of other letters from high school. This is refreshing because it is you speaking from the heart. Thank you for taking the time to write. It is a blessing to read.